Peoples’ Self-Help Housing (PSHH), a 501(c)(3) organization, provides affordable housing and programs for low-income families, seniors, and other special needs groups on California’s Central Coast. With broad and generous support from partners like you, we are able to fulfill our mission to build homes and provide services to strengthen communities and change lives. 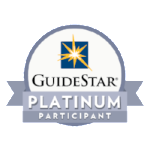 PSHH is a national, award-winning nonprofit, a member of the NeighborWorks America Network, and a GuideStar Platinum-rated agency. Click here for a full list of our accreditations and awards. On behalf of all of the residents who will benefit from your generosity, thank you! If you have any questions about supporting PSHH, please contact us at giving@pshhc.org. Filling the Gap It’s just a fact, there is not enough affordable housing to go around on the Central Coast. Through your support, PSHH fills the wide gap between what a minimum wage employee can afford and the market rate of rental housing. Building More A safe and secure home is just the beginning of a better future. Through your support, PSHH residents receive essential assistance and access to social and medical services, education, and more. Click on a link below to learn more about some of programs and services your donation supports. Community partners and businesses providing $10,000+ in funds or support to a special fund or general operation. See our current list of Major Funding Partners or donate now to become one. Help provide a predictable and dependable source of funds to support the much-needed resident services we offer to more than 5,000 residents throughout the year. Start your Recurring Gift. The Builders Circle includes contractors, designers and stakeholders who offer much-needed onsite services and invest long after the ribbon cutting. The Investors Circle are individuals and businesses who have committed to being a stakeholder and investing in building well-designed, decent, safe, affordable housing on the Central Coast. By considering PSHH in a bequest of your estate, you leave a special legacy for the residents of PSHH and become a cherished member of our Legacy Circle. Plan your giving now. Special events, in-kind support, BuildHer Fund, stocks & assets, vehicle donations, volunteer, donate while you shop, matching gifts programs. Learn more ways to give.